This roadside stop has shops selling local produce and souvenirs as well as restaurants. On the first floor you can buy souvenirs. 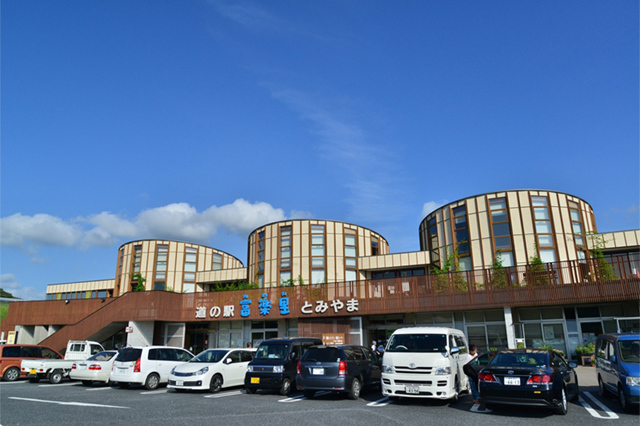 Kondo Farm from Minamiboso (soft-serve ice cream and other dairy products) and Aokura Shoten (bento-style meals made with produce from Chiba Prefecture) have shops on the second floor. There are also special events held here, for example harvesting bamboo shoots in April and picking biwa fruit in May and June.